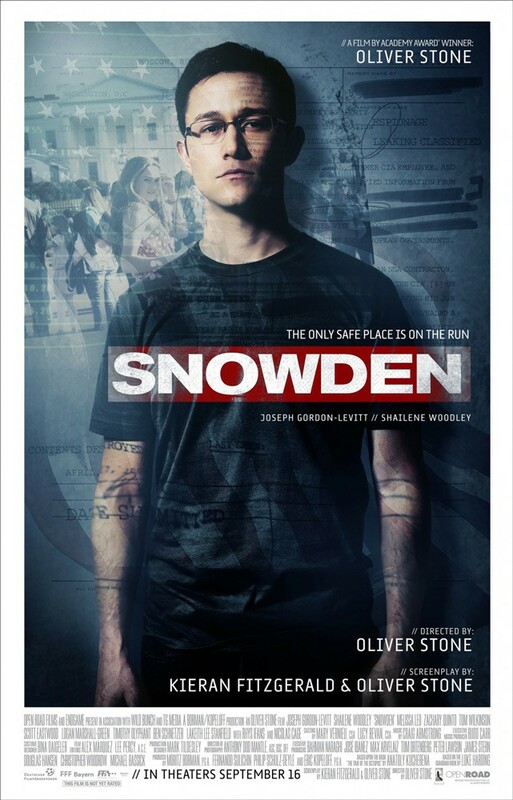 The film is based on the life of Edward Snowden, an NSA/CIA whistleblower who leaked private company documents that revealed those security agencies were spying on its own citizens. The trailer is very intriguing and looks to be full of thrilling drama. Director Oliver Stone has made a career out of political dramas, so who better than to be directing this? The film has an outstanding cast as well including Joseph Gordon-Levitt (who by the way has nailed Snowden’s real voice for the film), Shailene Woodley, Tom Wilkinson, Rhys Ifans and Nicolas Cage. If anyone’s looking for more specifics about the character and his story, you can check out the brilliant documentary Citizenfour, which is actually more thrilling than most movies. The film is due for release on 16 September 2016 in the USA, check out the new trailer as well as the poster for the film below.